Having trouble with your industrial hoses in El Monte CA? 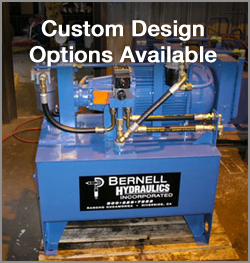 Whether you’re dealing with an unexpected hose failure, a fitting leak, or just need to replace aging hoses, the experts at Bernell Hydraulics can help. Because we stock such a huge selection of industrial hoses, we can offer you fast replacements for most generic hoses. What we don’t have in stock we can special order or even custom fabricate in our shop. If you’re not satisfied with your current hoses, be sure to let us know before you place your order so we can suggest alternatives. Frequent leaks or hose failures may mean that you need to choose a different type of industrial hose in El Monte CA for your machinery. Call Bernell Hydraulics and we’ll send an expert technician out to perform hose analysis on your equipment and determine what can be done to ensure you get better performance out of your hoses. The solution might require rerouting a hose to reduce abrasion and vibration, choosing a hose with a higher pressure capacity, or even performing maintenance on your hydraulic system to make it run cooler. In order to fit generic hoses into your hydraulic system, you will have to cut and crimp them and then make sure you have the right thread configurations. But if you invest in custom industrial hoses in El Monte CA from Bernell Hydraulics, you can save yourself the time and trouble that these steps take. By allowing our expert machinists to make the necessary modifications to your hoses, you can rest assured that the end result will deliver great performance.